Following the launch of Google Assistant in 2016, the technology has spread to everything from phones to speakers to TVs. Just say the word and Google's technology will helpfully answer questions, schedule meetings, and more. Now, the virtual assistant is taking the next step toward dominating your life, starting with the Lenovo Smart Display. 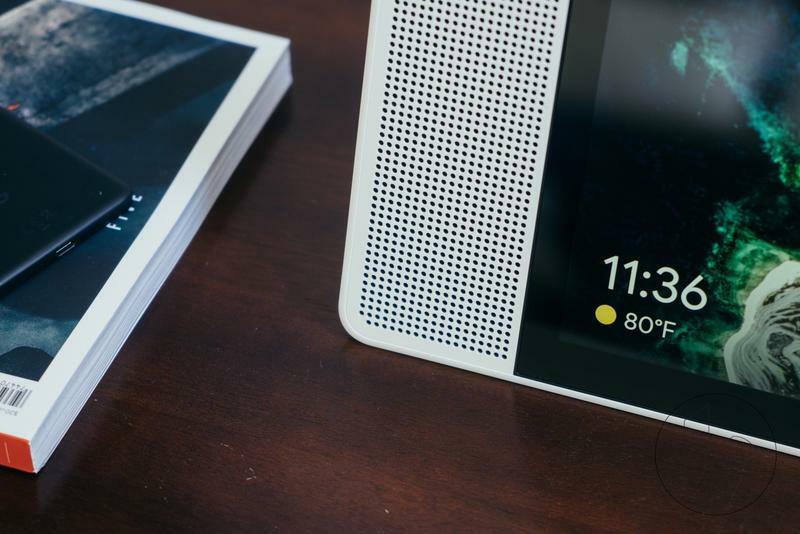 Announced at CES earlier this year, Lenovo's new device is built around Google's Smart Display platform, a voice interface that runs on Android Things, which is itself a variant of Android built for the internet of things. It means Assistant will be even more accessible as companies release speakers running Google's technology. The kicker here is that some of these devices won't be mere Google Home clones. 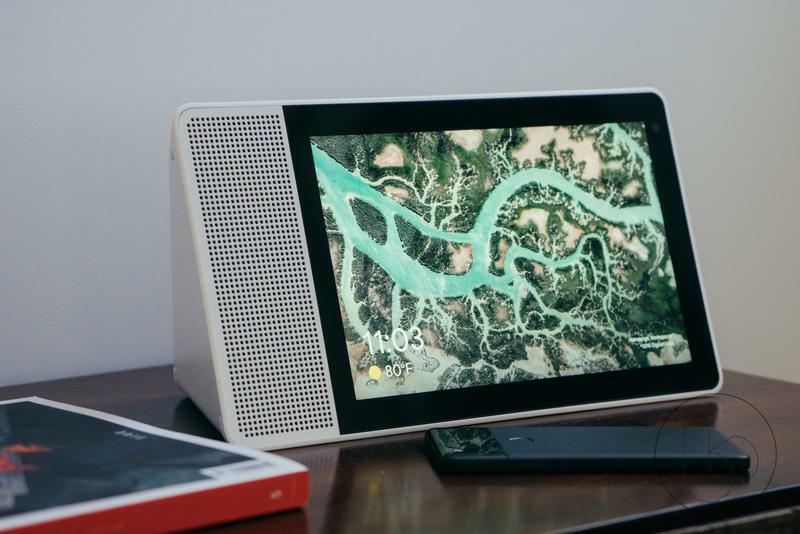 The Lenovo Smart Display, as the name implies, features an expansive screen to not only provide consumers with audible feedback, but visual feedback, too. Clearly, Google is gunning for Amazon's Echo Show. What Google is doing is taking everything people love about the Home smart speaker and making it better. Now, when you ask for the weather, Assistant won't just tell you, it'll also show you. Pairing a screen with Google's intelligent AI adds an entirely new dynamic and really enhances the overall experience. Lenovo sent TechnoBuffalo the Smart Display model with a 10-inch display. 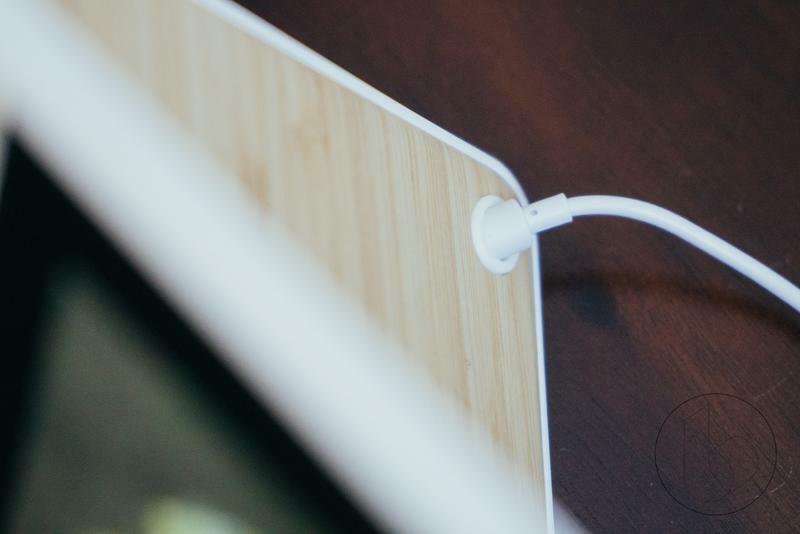 From the front, it looks like a tablet with a speaker affixed to its left side; on the back, it features a sleek bamboo finish that pairs well with more modern home decor. 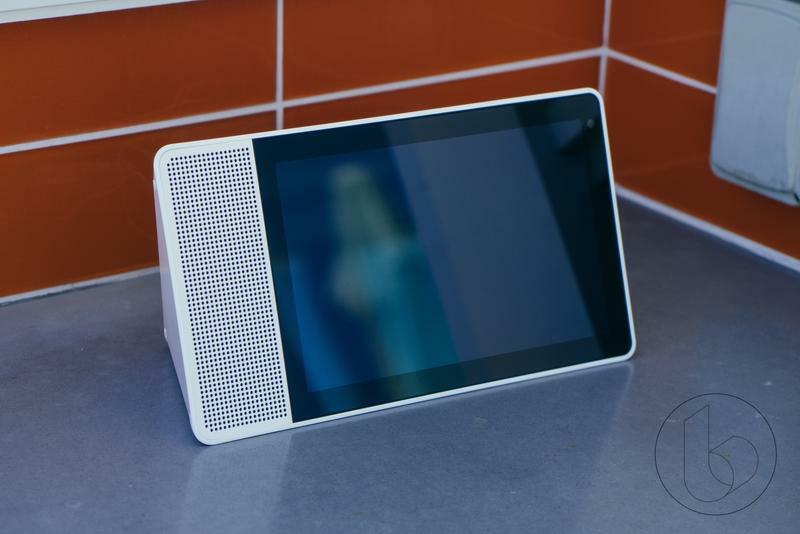 It looks more elegant than the Echo Show thanks to its contemporary design and pristine white finish. The only quirk with its design is the area that houses the speaker, which juts out like a wave. You can't tell from the front, but turn the Smart Display around and it quickly goes from really thin to really thick. It looks like someone tried to bend the corner of a tablet. I really don't mind it—it's unique, I suppose—and we can forgive Lenovo, because the company had to house the speakers somewhere. There's also no 3.5mm headphone jack. The 10-inch model features a 2-inch, 10 Watt speaker and two passive tweeters. The Smart Display can get really loud without sounding too muffled, with crisp and high-quality audio. But it is by no means a replacement for a dedicated speaker. When you're in the kitchen with the stove running and fans going, you'll still be able to hear whatever YouTube video is playing. For that matter, the Smart Display will also be able to hear you utter commands, even with plenty of ambient noise in the background. The device features dual array microphones, so it can capably hear you when you call. It didn't hear me every time—like, say, when music was playing full blast—but no smart speaker is good enough to hear you 100 percent of the time. Other aspects of the design involve privacy. You can flip a switch to block the camera, and you can also stop the microphone from listening. 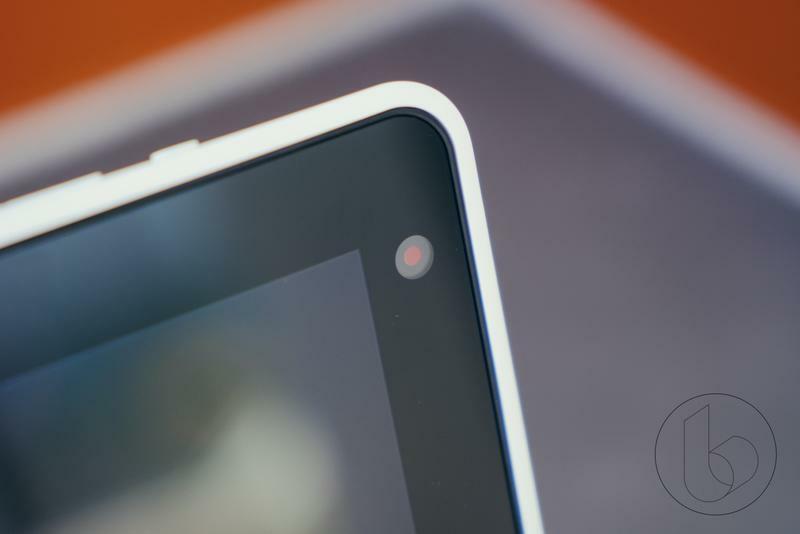 It's a smart move on Lenovo's part, especially in a world where cameras and microphones are everywhere. Unfortunately, you can't use voice commands to initiate either mode. You'll have to manually flip both physical switches if you want your privacy locked down. Inside, Lenovo equipped the device with a Qualcomm chip designed specifically for devices running Google Assistant. Essentially, the chip—known as Home Hub Platform—allows Android Things to run with the display, with support for voice interfaces, machine learning, and more. Some of the other specs include a 5-megapixel camera, 2 x 2 WiFi 802.11ac, Bluetooth LE 4.2, and an IPS panel. The screen looks a lot better than I expected it to. YouTube videos are vibrant and sharp, while Google Photos add plenty of personality and color. It's nothing like the gorgeous OLED smartphone screens we're used to, but I have no major complaints. When you're using this thing in the kitchen for step-by-step recipes, the display's quality will be the last thing that crosses your mind. If you've ever used a Google Home device, you know how powerful Google Assistant is. Imagine that same experience, but with a display. You can do everything from watch HBO Now to interact with Google Routines. Whatever service your Google Home works with, the Lenovo Smart Display works with, too. That being said, the Smart Display doesn't run apps per se. Like Amazon's Echo Show, Lenovo's device is strictly for displaying information and content. There's no app store to navigate or a grid of icons to tap. In order to use the device to its fullest potential, you'll want to the connect various services you use—YouTube, Netflix, Spotify, etc.—which can be done through the Google Home app for Android or iOS. Once you get everything connected, the Smart Display becomes incredibly powerful. You can binge your favorite Netflix show while you wash the dishes, or catch up on news by saying, "Hey Google, play the news." And when you ask for the capital of a country, you'll get a nice visualization, making the experience much more immersive. When the Smart Display is on its default home screen, information will be displayed in cards. As I write this, I can see the weather prominently displayed for my area, upcoming calendar events, and quick links to my top playlists on Spotify. The display will also show a host of other information, such as directions, photos, recipes, and video calls through Duo. Out of the many services the Smart Display does support, YouTube is by far the biggest. 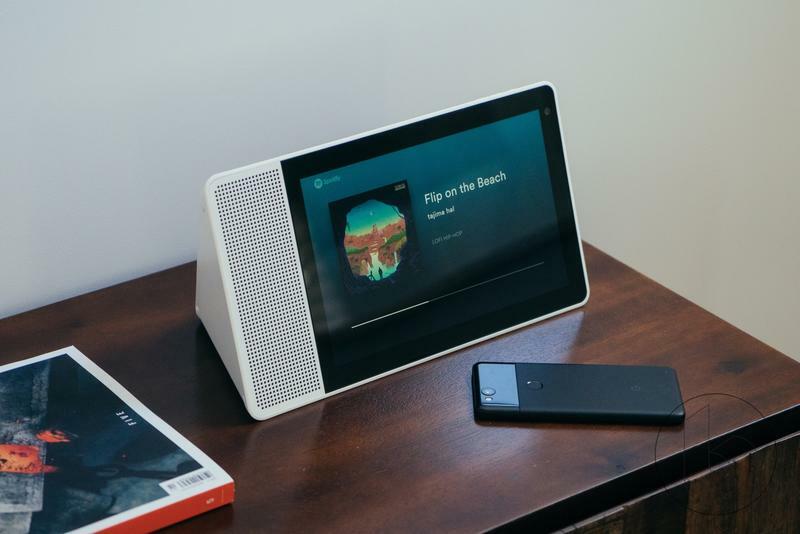 It's a significant inclusion considering YouTube was pulled from Amazon's Echo Show last year following a dispute between the two companies. It gives the Smart Display a huge advantage over the Show. Visually, Google's patented card-like UI looks like it was made for the Smart Display, and how Google Assistant was meant to be experienced. Say a command and see the result displayed nice and big. However, it does take some getting used to. While you can manually interact with many of the cards, interaction is limited. For example, you can't manually search for a YouTube video or manually edit a calendar event. This isn't a traditional tablet experience, after all, so it's about adjusting to its limitations. Think of it this way: the display is and important part of the experience, but only to show information, not to be touched. The only time you'll touch the screen is to jump into quick settings (you can adjust the display brightness, for example), which can be accessed from swiping from the bottom up. You can also swipe from the left edge to exit to the home screen or bring up a mode where the clock is displayed on a black background. In addition to using the Smart Display for Google Assistant and its various capabilities, the device makes for a pretty great digital frame, whether for hand-picked images from around the web or your own photos uploaded to Google Photos. As a faithful Google Home user, I welcome Lenovo's Smart Display with open arms. I love getting visual feedback, whether I'm asking for directions or simply inquiring about the weather. It makes for a richer, more immersive experience you don't get from something like the Google Home Mini. Like the Echo Show, I can see the Smart Display becoming especially useful in the kitchen, where consumers can watch cooking tutorials while they try a new recipe. But the fact that Lenovo's device supports YouTube makes it an instant purchase over the Echo, unless you already have an army of Echo devices. At $249, the 10-inch Smart Display (the 8-inch model is $199) we received from Lenovo is a pretty good value. It features speakers that are good enough, an expansive display, and integration with a ton of services. It also runs the most powerful virtual assistant on the market, making it a must-have for any Google Assistant user. Disclaimer: Lenovo sent TechnoBuffalo the 10-inch Smart Display for review. We used it for five days before beginning our review.